The number of Achilles tendon ruptures is increasing, and they tend to occur in players at the later stages of their career. Even when ruptures are “successfully” managed without any complication, players demonstrate objective muscle strength weakness. Treatment aims to stabilize the injured tendon and optimize the recovery of strength of the gastrocnemius-soleus complex while minimizing complications. The viscoelastic properties of the tendon need to be normalized in order to provide feedback and prevent re-rupture. 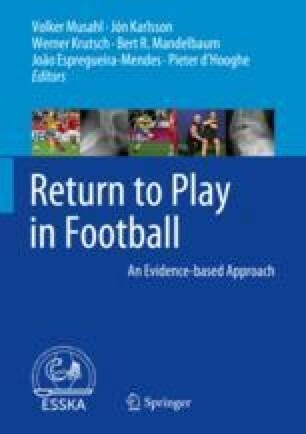 Rehabilitation programs need to consist of early weight-bearing and loading and a graduated development of heel rise strength and psychological recovery to enable resumption of competitive football.